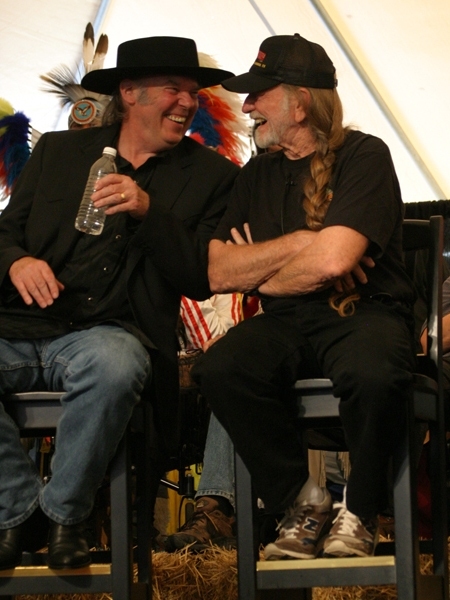 In the spirit of the event, we bring you Farm Aid Memories from one of our dear friends, Kevin "Union Man" Woodard. 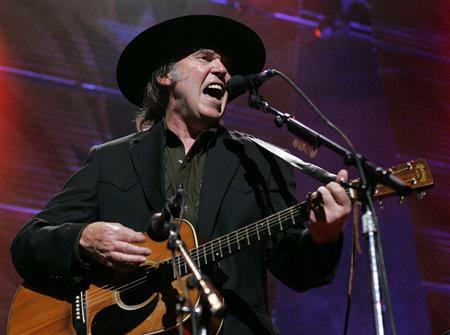 we've known "Union Man" for a long time now and go back in the years of seeing Neil Young concerts. Kevin aka "Union Man" has been to more Farm Aid concerts than just about any Neil fan that we know. This year will mark his ~18th Farm Aid concert -- a remarkable achievement. Here are some of Kevin "Union Man"'s Farm Aid memories based on attending the concerts over the past 25 years including the first concert in 1985 in Illinois. I first started watching Farm Aid in 1985. 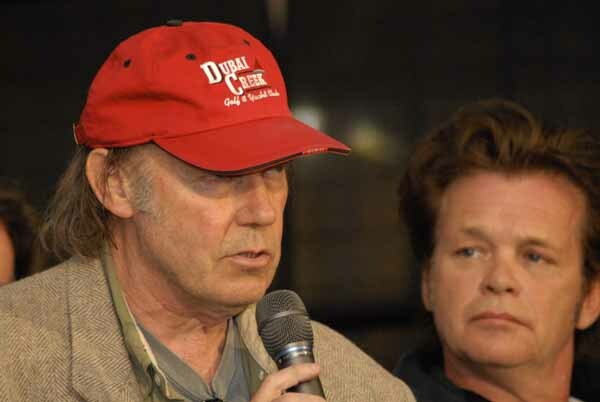 I am a huge Neil Young fan. That is what first got my interest. It soon became a yearly ritual with my wife and I. We would donate fifty dollars and get a t shirt. I got the odd years she got the even years. We became very interested in the cause. I live on the Eastern Shore of Maryland. 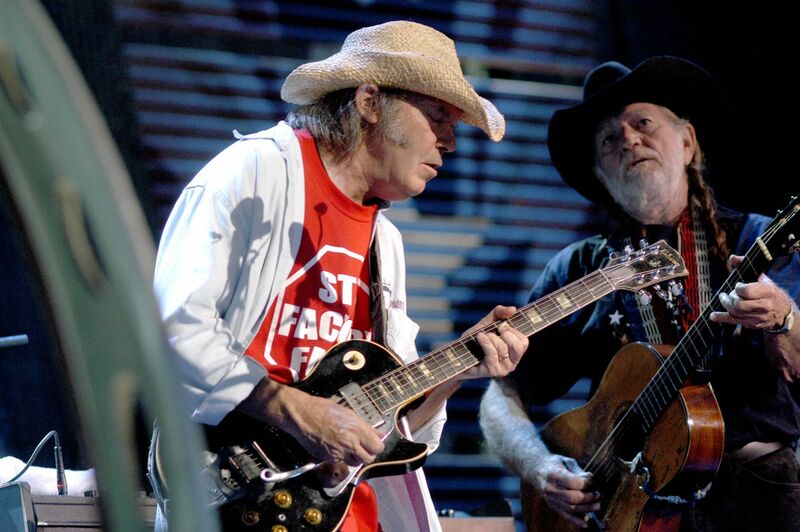 In 1999 Farm Aid came to Virginia. I had to go! My brother, David went with me. My brother Chuck and his wife Terri also went. 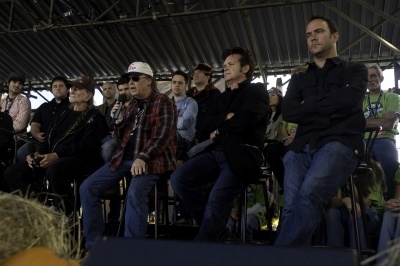 I attended this Farm Aid and caught "The Fever" ! I told myself that I would not ever miss one. The next year it was back in Virginia, no problem! I had a great seat. I think it was fourth row on the aisle. I was approached by security early on and was told that they would give me a concert t-shirt to move to seats further in. I said I didn't want to and they said they weren't asking! My wife and I took the shirts and moved. A little while later Tipper Gore and her entourage came in and took our seats! That was pretty cool! In 2001 came my first challenge. I had only flown once in my life. I was flying to Indianapolis alone! Then came 9-11. Made me a little more nervous about flying but I had to get to Farm Aid. I was fortunate to have met a friend through the Neil Young Internet community who lived near Indianapolis. He actually picked me up at the airport, took me to his home, kicked his kid out of his room and treated me like royalty all weekend. Thanks John! Then came Pittsburgh. We drove to this one. My wife and several friends attended. Some old friends of mine, Cope and Diane, attended and have gone to every one since with me! I think this might be the year that my friend Kathy Popple brought Chief Dennis to dinner and I got to meet him. One thing I remember about this show is purchasing my STOP FACTORY FARMS shirt directly from Roger Allison and the folks at Patchwork Family Farms before they were sold by Farm Aid. One of the highlights for me every year is stopping by to chat with Roger and eat some of his great food. This is usually the first thing I do when I arrive. In July of 2003 I broke my leg. Did this stop me? No way! My wife and I flew to Columbus, cast and crutches and all. Cope and Diane drove. A volunteer met me at the venue gate with a wheelchair and took me down to my seat. The longest trip came next, Seattle! We decided to turn this into a vacation and stayed a few days longer than usual. My wife, Suella and Cope and Diane went along this time. Seattle was awesome! We had a little incident with parking downtown. A tow truck and a long walk in the rain was involved! The 2005 show was particularly special for us because our oldest daughter, Rachel, then 15 years old went to Chicago with Suella and I for her first Farm Aid. She has not missed one since. Rachel is a vegetarian but she goes to see Roger with me and he gives her a roll! Cope and Diane were with us and Chuck and Terri were back on board also! They have not missed one since! We drove to the Camden show. Cope and Diane and Rachel and I. Chuck and Terri went also. Rachel and I rode to NYC with Chuck and Terri. Cope and Diane drove separate. My brother David made this one with his wife and nine year old daughter. I got my picture taken with Al Sharpton in front of my hotel and Rachel got to get her picture taken with one of the guys from Guster, one of her favorite bands! Then came Mansfield. By far the best trip! After a great deal of consideration we decided to drive. Diane borrowed a conversion van and drove the whole way! Over 400 miles! Cope sat up front and David, Rachel, Rebecca (my other daughter) and I sat in back. We laughed and carried on the whole way. Stopped in New Haven for pizza and ended up turning a long drive into a very long drive! The girls got their picture taken with Carson Daly and with Steve Earle. Then they convinced Steve Earle to get a pic with me and one with David. Fun memories. Neil performed " A Day In The Life " at this one. A performance that I will never forget. the Homegrown urban county fair and I got to meet Cornelia. What a pleasure! Phish & Neil Young - "Down by the River"
Every year I look forward to seeing other regulars. There are several of us who met through the Neil Young Internet community that usually get together the night before and at the show. I have met several others such as Roger Allison and some farmers from Virginia, Debbie and Jackie Seale. The whole atmosphere at the concert appeals to me. I love being there. I have hardly mentioned the music. As you know it is always fantastic. I love hearing the guys talk about the issues etc. I would love to get a chance to attend the press conference one year. Thanks Kev "Union Man". You're the best. Union Man - what a fantastic journey down the Farm Aid path you have had. Thanks for writing that. 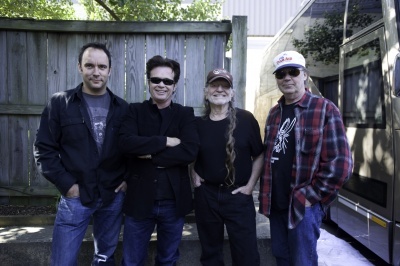 I've been to a few Farm Aid concerts and you've been to all of them that I've attended (well, except for Columbia, SC in '96 which was a very good one with Crazy Horse.) I feel like such a wimp this year because I'll be listening on XM radio to this year's Farm Aid instead of being in Milwaukee. Have a great time there, friend! I'm glad I got the chance to see a farm aid- hopefully I'll get the chance again. 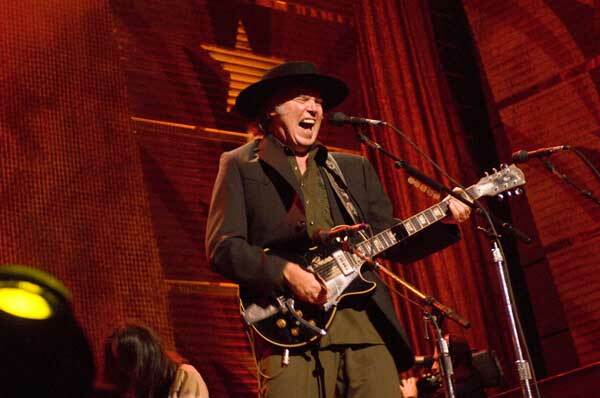 I went in 08- what a great time, awesome line-up besides the regulars: Arlo Guthrie, Jerry Lee Louis, Jacob Dylan, The Pretenders, moe, Steve Earle, Jamey Johnson the highlights were the all the interactive displays, meeting Willie Nelson, and Neil Young's set w/ the electric band. 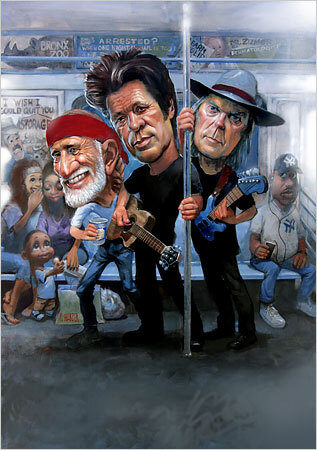 I didn't get to meet Neil but I saw John Mellencamp, Elliot Roberts up close, outside the venue and shook Willie's hand. I love the whole farm aid idea- a great cause. You learn at lot at farm aid and its a great party with awesome music. You really captured the experience! My brother and I started in 2000 in Washington. We missed 2001, but have been to all the concerts since - sometimes with our daughters and friends, sometimes just the two of us. It's always been a highlight to run into you and your family members at the shows. Hope to see you next year!